Take 321 to Cosby Entrance Road, then stay straight into the campground. There is a pull off as soon as you turn onto the road. Park here and walk toward the creek. Wait until it has rained for a few days. 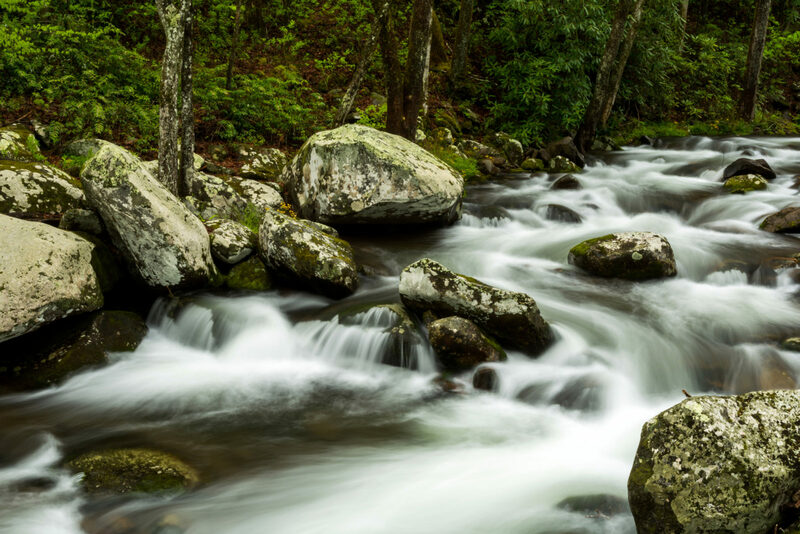 Heavy rains brought a heavy flow of water down through Cosby Creek at the Cosby Campground in the Great Smoky Mountains National Park.